Dr Christopher Thomas was called to the Bar in 1973 and appointed Queen’s Counsel in 1989. Dr Thomas has built an impressive reputation as an advocate and arbitrator in construction and engineering, energy and IT disputes. Dr Thomas has over 30 years experience acting for clients in the UK Courts, domestic and international arbitration and other forms of ADR. His experience extends to most types of construction projects including EPC Contracts for the construction of new power stations, major utility projects, bridge and tunnelling projects and major processing facilities. In addition to his extensive expertise in the UK Courts, Dr Thomas has also acted on some of the biggest claims to be decided by the UK adjudication process. These have included a series of adjudications in relation to works on motorway viaduct and major claims relating to upgrade work at an oil refinery. Dr Thomas is also a respected arbitrator, adjudicator and mediator. He is chairman and member of International Chamber of Commerce (ICC) arbitral panels and his experience includes major international arbitrations for the ICC and the London Court of International Arbitration, adjudications in the UK and contractual adjudications for international projects. He is also a practising mediator dealing with international disputes such as oil concession agreements. The locations of his cases have included Barbados, Dubai, Gibraltar (where he was admitted to the Bar), Hong Kong, Indonesia, Kuwait, Malaysia, Nigeria, Pakistan, Saudi Arabia, Singapore, Sweden, Sudan, Tobago, and Yemen. Acting for employers in an arbitration arising from a dispute over a water treatment plant project in Saudi Arabia. Acting in a major Hong Kong bridge arbitration arising from a dispute over fabrication work in mainland China. Appearing in a Technology and Construction Court case on a dispute arising from a cold storage facility project. Acting as counsel in an-adjudication for Major Contractors regarding blasting and paintwork contracts on a large viaduct. Acting for an international contractor in an arbitration in Sweden of a dispute arising from the engineering of the Oyan River dam in Nigeria. Advising and appearing in the latter stages of the long-running arbitration of an earth-works dispute arising from a major by-pass scheme in the north-west of England. Providing pre-contract advice on bonds and contractual terms for an electric turbine project in Barbados. Acting as Counsel for a Major Contractor against a Utility company regarding the refurbishment of over-head power Cables. Advising an International Power Company on obligations in relation to refurbishment work at a UK power station. Advising the contractor on a claim arising from the construction of a Process Plant in Africa. Advised several energy companies on issues relating to Force Majeure claims. Advising the employer on issues arising from the construction of a waste and energy plant. Advisory and adjudication work on a series of disputes arising from the construction of the national 3G network of mobile phone and imaging service providers. Acted for many of the leading insurance companies including Axa. Successfully represented the claimant Technotrade Ltd in the Court of Appeal on claim relating to a landslip. Represented the owner of a dredger in a dispute over the termination of a short-term lease for the vessel and a claim for liquidated damages. ICC Arbitration. Advised on the meaning and effect of a limitation clause within a contract for the refurbishment of an offshore drilling rig in the North Sea. Represented the purchaser of an offshore drilling platform in a dispute over defects, delays and the final account. ICC arbitration. Represented the contractor in disputes over the design and supply of an oil-offloading buoy. ICC arbitration. Acted as Chairman of Dubai International Arbitration Centre panel in a lengthy hearing and Award in respect of a dispute concerning alleged wrongful termination of a significant infrastructure project in Jebel Ali, Dubai. Co-Arbitrator in ICC arbitration in respect of chemical plant in North-east of England. Currently Co- Arbitrator in arbitrations under UNCITRAL rules both at the Permanent Court of Arbitration (PCA), The Hague, Netherlands (concerning investment on hydro-electric plants), and at the PCA in the Republic of Mauritius (concerning developments in the Maldives); and in arbitration under DIAC rules in Dubai (dredging and infrastructure works). As Arbitrator, Christopher recently concluded the Award in a long running ICC arbitration concerning major infrastructure works in Ethiopia and Eritrea, following hearings in Paris, Zurich and Tunisia. Appointed as arbitrator by the ICC in a dispute arising from a gas plant project in Pakistan. arising from a highway construction project. 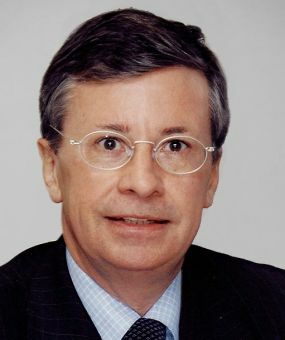 Appointed as co-arbitrator by the ICC on a dispute between a major European contractor and a government client arising from a project in Africa (hearings in Paris, Tunis and Zurich). Acted as mediator in an action relating to a dispute over protected fields from a Middle Eastern Oil Field. Dr Thomas has acted as chairman of the Chartered Institute of Arbitrators Disciplinary Panel on several occasions. Appointed by the RICS under their Dispute Resolution Scheme to act as Independent expert in a dispute in relation to a Deed of Release for the leasehold of a commercial property. Appointed by the parties as Adjudicator to decide a dispute regarding the refurbishment and fit-out of a London Hotel. Appointed by the RICS under their Dispute Resolution Scheme to act as Adjudicator in a dispute between the contractor and the employer in a claim for loss of profit arising out of the construction and refurbishment of a housing development. Appointed by the RICS under their Dispute Resolution Scheme to act as Adjudicator in a dispute between the parties arising from the subcontract to complete roadworks and groundworks where the employer alleged the contractor was negligent. Appointed by the RICS under their Dispute Resolution Scheme to act as Adjudicator in a dispute regarding withholding notices. Named Adjudicator in the contract to resolve disputes arising from the construction of transmission lines, substations and electrification of border towns for an interconnection power project. Appeared as advocate in several mediations. Attended mediations as advisor / advocate. Instructed as mediator in a number of construction related disputes principally concerning final accounts. "Extremely tenacious, hands-on and great at getting stuck into the real detail." Dr Christopher Thomas QC is an “exemplary silk” and receives praise for his ability to “impress clients and peers alike”. Contributor, Keating on Construction Contracts 8th Edition, 1st Supplement (2008). paper on Privity of Contract: contracts for the benefit of third parties, and to the DoE Consultation paper on latent defects liability and ‘Build’ insurance, ‘Fair Construction Contracts’. 12th Annual Construction Conference, Kings College London: The HGCR Act 1996. Following his PhD in comparative law Christopher maintains his interest in academic work and is a visiting lecturer on the MSc Construction Law course at King’s College, London. Christopher lectures regularly on Guarantees and Bonds, set-off, liquidated damages, PFI and the advancement of harmonisation in Europe. He also supervises dissertations on the MSc in Construction Law and Management for King’s College, University of London and is a tutor in the advocacy-training programme at Lincoln’s Inn and a judge in moots.